My hair does feel a bit better since I use this product. But I'm not seeing significant differences. I used olaplaex before and it's almost the same. Amazing product! My hair feels so soft and shiny after the usage! 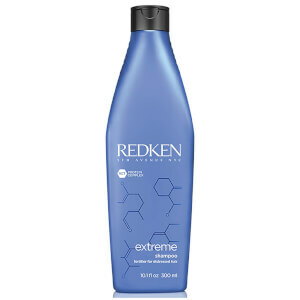 I do like Redken hair products & tried this one for the first time as I find Opalex too expensive, yes I would order this product again as it seemed to suit my hair but I only use it once a week which I think is recommended. Breathed Life back into my hair! I was recommended by my hairdresser to use either this or olaplex after I had a colour correction. Since this is a third of the price of olaplex, I tried it and I am so impressed! My hair was SO dry after I had the colour correction (brass to white blonde) and this has given it the kiss of life! It feels stronger, shiner & softer, that’s after just one use so I will continue to use! Very happy! This has quickly turned into one of my favorite products! It truly reformed the bonds between my curls (3a-3b) and made my blond colored curly hair look healthy and bouncy. The effect lasts for about 2 days but is truly noticeable - every time I used it I got complements on my hair, from friends asking to know what I did to make it look so good and healthy. I try to keep it on as much as I can before washing (a few hours when possible), only down side is that you have to wet your hair, apply it and then wash again, so 2 washes in one day, but still I think it is worth it. Wow just wow I was a hairdresser and always used Redken when I left the salon I tried other products and because I don’t have the time (or can find anyone who highlights my hair the way I like it) I have been doing it myself so it’s not in great condition then decided to go back to full head coppers because it’s easier! This did not agree with my hair one bit “chewing gum came to mind” . 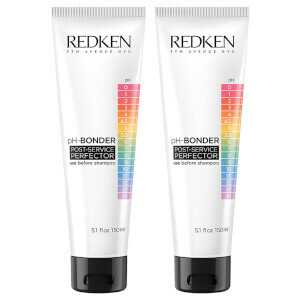 I treat myself to oplex treatment at a salon and came home with the no3 but after a few washes it felt dreadful again so went back to my home turf and tried redken again NEVER will I use anything else again I’m currently using every 2 weeks instead of once a week and wash my hair everyday because I run it still feels fab after washing it! Can’t recommend this product enough together with extreme shampoo and conditioner!! For the price and the outcome of this treatment is spot on. I have used oplexax in the past but have paid three times as much for that, this is just as effective and the tube seems to last a good while! It leaves your hair soft and smooth and feels less damage. My damage is due to heat, styling and bleaching and I try to look after it as best I can. 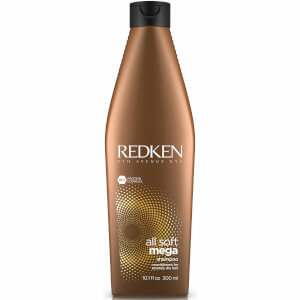 I will be buying this again as Redken is my favourite brand. My hair seems to respond very well to it. My hair is wavy, bleached and slightly damaged from heat and colouring.